THIS IS AN AGREEMENT. This is an agreement between you and Polish Stoneware Imports. This agreement is referred to herein as this “Agreement” or these “Terms”. This Agreement governs your use of any Web site or Web page operated by Polish Stoneware Imports. In this Agreement, each Web site or Web page operated by Polish Stoneware Imports is referred to individually as a ” Polish Stoneware Imports Site” and collectively as the ” Polish Stoneware Imports Sites”. Any Polish Stoneware Imports Web Site may contain additional terms that further govern use of that Polish Stoneware Imports Web Site, including without limitation, particular features or offers (for example, sweepstakes). Other provisions that govern your use of this site and Polish Stoneware Imports E-Mails may be set forth in online notices appearing in connection with certain information, products, software, services or features of this site or Polish Stoneware Imports E-Mails (collectively, the “Additional Terms”), all of which are incorporated by reference herein. Your use of any information, products, software, services or features of this site or of Polish Stoneware Imports E-Mails that are subject to Additional Terms constitutes your acceptance of the respective Additional Terms. If you do not agree with any Additional Terms, do not use the respective information, software, product, service or feature. If any terms of this Agreement conflict with any Additional Terms, then the terms of this Agreement shall control. POLISH STONEWARE IMPORT SITES ARE MADE AVAILABLE TO YOU ON THE CONDITION THAT YOU ACCEPT ALL OF THE TERMS OF THIS AGREEMENT WITHOUT MODIFICATION. YOUR USE OF A POLISH STONEWARE IMPORTS WEB SITE CONSTITUTES YOUR ACCEPTANCE OF THIS AGREEMENT WITHOUT MODIFICATION. CHANGES TO THIS AGREEMENT. Polish Stoneware Imports, and only Polish Stoneware Imports, may change (including supplementing and expanding) the terms, conditions, and notices under which it grants access to or allows the use of Polish Stoneware Imports Web Sites. Such changes may be made without notice. You agree to regularly review these Terms and any additional terms posted on any Polish Stoneware Imports Web Site for changes and agree that continued use of a Polish Stoneware Imports Web Site after the effective date of a change affecting terms applicable to the Web site constitutes your acceptance of the change. USE OF SITE AND E-MAIL SERVICES. The content and software on this site, and the content of e-mails sent to those signing up for any of our e-mail lists (referred to in these Terms as “Polish Stoneware Imports E-Mails”), may be used as a personal shopping and information resource. 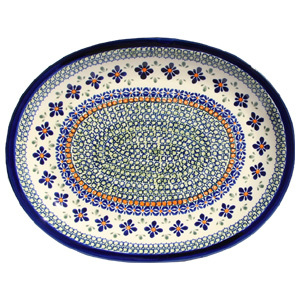 Any other use, including the reproduction, modification, distribution, transmission, republication, display, or performance, of the content on this site or any Polish Stoneware Imports E-Mails is strictly prohibited. 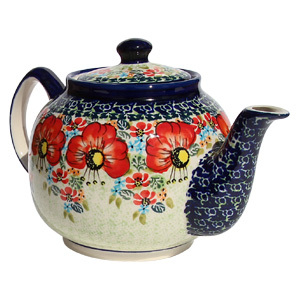 Polish Stoneware Imports Web Sites may only be used in compliance with the law and for lawful purposes. Activities including, but not limited to, tampering with the site, misrepresenting your identity or the identity of another user, using buying agents, or conducting fraudulent activities on or through any Polish Stoneware Imports Web Site are prohibited. You may download Polish Stoneware Imports Web Site content for non-commercial, personal use provided you also retain all copyright, trademark and other proprietary notices contained in the material, do not modify or alter the material and do not copy or post the material on any network computer or broadcast the material in any media. 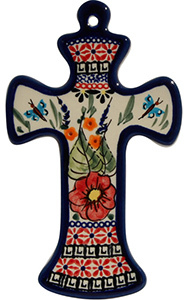 It is strictly prohibited to modify, transmit, distribute, reuse, repost, “frame” or use Polish Stoneware Imports Web Site content, including the text, images, audio and/or video, for public or commercial purposes without written permission from an authorized representative of Polish Stoneware Imports. TERMINATION OR SUSPENSION OF ACCESS AND USE. Polish Stoneware Imports may terminate this Agreement, refuse to provide service, and terminate or suspend access to or use of a Polish Stoneware Imports Web Site in its sole discretion at any time and for any reason whatsoever, with or without notice. Upon any termination or suspension of rights of access or use, your right to use Polish Stoneware Imports Web Sites will immediately cease. TRADEMARKS. Polish Stoneware Imports is a registered trademark of Polish Stoneware Imports, LLC. Other Polish Stoneware Imports graphics, logos, and service names are trademarks of Polish Stoneware Imports, LLC. All trademarks not owned by Polish Stoneware Imports that appear on this site or in Polish Stoneware Imports E-Mails are the property of their respective owners. Neither trademarks of Polish Stoneware Imports nor any other trademarks appearing on Polish Stoneware Imports Web Sites may be reproduced, copied, or manipulated in any manner without the express, written approval of the trademark owner. • A statement by you, made under penalty of perjury, that the above information supplied by you is accurate and that you are the copyright owner or authorized to act on the copyright owner’s behalf. IDEAS AND SUGGESTIONS. 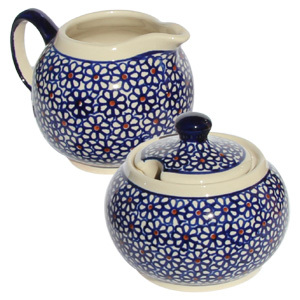 BY USING A POLISH STONEWARE IMPORTS SITE, YOU AGREE THAT ANY INFORMATION (EXCEPT FOR PURCHASE INFORMATION), MATERIALS, SUGGESTIONS, PRODUCT REVIEWS, GRAPHICS, RECORDINGS, IDEAS OR COMMENTS YOU SEND TO POLISH STONEWARE IMPORTS OR ANY OTHER THIRD PARTY USING THE POLISH STONEWARE IMPORTS WEB SITE (COLLECTIVELY IN THIS SECTION 7, “INFORMATION”) IS NON-CONFIDENTIAL. BY SUBMITTING ANY SOLICITED OR UNSOLICITED INFORMATION USING A POLISH STONEWARE IMPORTS WEB SITE, YOU GRANT POLISH STONEWARE IMPORTS SOLE OWNERSHIP OF THE INFORMATION AND ALL PRESENT AND FUTURE RIGHTS TO THE INFORMATION OF EVERY KIND AND NATURE EVERYWHERE, WITHOUT RESTRICTION AND WITHOUT PAYMENT OR OTHER COMPENSATION TO YOU. POLISH STONEWARE IMPORTS WILL NOT BE LIABLE FOR THE USE, PUBLICATION OR DISSEMINATION OF ANY OF THE INFORMATION (INCLUDING, WITHOUT LIMITATION, PRODUCT OR ADVERTISING IDEAS) AND WILL NOT INCUR ANY LIABILITY AS A RESULT OF ANY SIMILARITIES TO MATERIALS, SUGGESTIONS, GRAPHICS, RECORDINGS, IDEAS OR COMMENTS OF YOURS (I.E., THAT WERE NOT SENT TO POLISH STONEWARE IMPORTS) THAT MAY APPEAR IN FUTURE POLISH STONEWARE IMPORTS PUBLICATIONS OR BE MANIFESTED IN POLISH STONEWARE IMPORTS OPERATIONS. POLISH STONEWARE IMPORTS WILL HAVE THE RIGHT TO PROSECUTE ALL APPLICATIONS, REGISTRATIONS AND PROCEDURES IT DEEMS NECESSARY TO PROTECT ITS EXCLUSIVE OWNERSHIP OF AND RIGHT TO USE THE INFORMATION, AND YOU AGREE TO COOPERATE WITH ALL SUCH EFFORTS OF POLISH STONEWARE IMPORTS. ILLUSTRATIONS, INFORMATION AND ADVICE. Polish Stoneware Imports obtains photographs, data and other visual, aural and written information from manufacturers, distributors, promoters or suppliers of the products, services and events sold, described or promoted on Polish Stoneware Imports Web Sites or in Polish Stoneware Imports E-Mails. While Polish Stoneware Imports strives to ensure accuracy, such information may contain inaccuracies. Furthermore, any Polish Stoneware Imports Web Site and any Polish Stoneware Imports E-Mails could include typographical errors and/or technical inaccuracies that derive from other sources, including without limitation the negligent acts or omissions of Polish Stoneware Imports own employees and agents. THE POLISH STONEWARE IMPORTS PARTIES MAKE NO WARRANTY OF ANY KIND WITH RESPECT TO THE PHOTOGRAPHS, DRAWINGS, DATA AND OTHER VISUAL, AURAL AND WRITTEN INFORMATION ON THIS WEB SITE OR IN POLISH STONEWARE IMPORTS E-MAILS, OR WITH RESPECT TO THE SUFFICIENCY OR ACCURACY OF ADVICE GIVEN BY POLISH STONEWARE IMPORTS PARTIES, WHETHER OR NOT SUCH ADVICE IS MADE IN WRITING. SECURITY. You are responsible for maintaining the confidentiality of any accounts you have established with Polish Stoneware Imports, including keeping your password confidential and restricting access to your computer. You agree to accept responsibility for all activities that occur under your account and password. 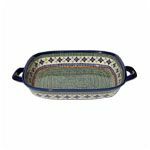 You agree that you will not violate or attempt to violate the security of any Polish Stoneware Imports Web Site or to interfere with the proper working of any Polish Stoneware Imports Web Site. Among other things, this means that you will not (a) access data not intended for you or log onto a server or an account which you are not authorized to access; (b) use the Web site for purposes for which it was not intended, or try to change the behavior of the site; (c) attempt to probe, scan or test the vulnerability of a system or network or breach security or authentication measures without proper authorization; (d) attempt to interfere with service to any user, host or network, including without limitation by means of submitting a virus or worm to or overloading, “flooding,” “spamming,” “mailbombing” or “crashing” the site; (f) forge any TCP/IP packet header or any part of the header information in any e-mail posting; or (g) forge communications on behalf of the Web site (impersonate a Polish Stoneware Imports Web Site) or to the Web site (impersonate someone other than yourself). You may not send unsolicited and unauthorized e-mail on behalf of Polish Stoneware Imports or any other of the Polish Stoneware Imports Parties, including promotions and/or advertising of products or services. Violations of system or network security may result in civil or criminal liability. You agree not to use or attempt to use any engine, software, tool, agent, data or other device or mechanism (including without limitation browsers, spiders, robots, avatars or intelligent agents) to navigate or search any Polish Stoneware Imports Web Site other than the search engine and search agents provided by Polish Stoneware Imports or generally publicly available browsers like Google and Yahoo. DISCLAIMER OF WARRANTIES. 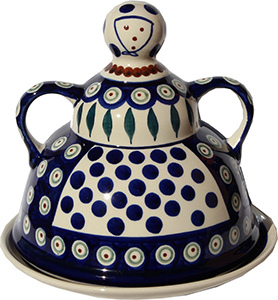 POLISH STONEWARE IMPORTS WEB SITES AND POLISH STONEWARE IMPORTS E-MAILS ARE PROVIDED BY POLISH STONEWARE IMPORTS ON AN “AS IS”, “WITH ALL FAULTS”, AND “AS AVAILABLE” BASIS. POLISH STONEWARE IMPORTS AND THE OTHER POLISH STONEWARE IMPORTS PARTIES MAKE NO REPRESENTATIONS OR WARRANTIES OF ANY KIND, EXPRESS OR IMPLIED, AS TO THE OPERATION OF THE SITE OR AS TO THE INFORMATION, CONTENT, MATERIALS, PRODUCTS OR SERVICES INCLUDED, PROMOTED, SOLD OR OTHERWISE AVAILABLE ON THE SITE OR IN POLISH STONEWARE IMPORTS E-MAILS. TO THE FULL EXTENT PERMISSIBLE BY APPLICABLE LAW, POLISH STONEWARE IMPORTS AND THE OTHER POLISH STONEWARE IMPORTS PARTIES DISCLAIM ALL EXPRESS, STATUTORY AND IMPLIED WARRANTIES, INCLUDING, BUT NOT LIMITED TO, IMPLIED WARRANTIES OF MERCHANTABILITY, FITNESS FOR A PARTICULAR PURPOSE, WORKMANLIKE EFFORT, ACCURACY, TITLE, QUIET ENJOYMENT, AND NON-INFRINGEMENT. WITHOUT LIMITATION OF THE FOREGOING DISCLAIMER, POLISH STONEWARE IMPORTS AND THE OTHER POLISH STONEWARE IMPORTS PARTIES DISCLAIM ALL WARRANTIES OR CONDITIONS ARISING THROUGH COURSE OF DEALING OR USAGE OF TRADE, AND WARRANTIES OR CONDITIONS THAT ACCESS TO OR USE OF POLISH STONEWARE IMPORTS WEB SITES WILL BE UNINTERRUPTED OR ERROR-FREE. THERE ARE NO WARRANTIES THAT EXTEND BEYOND THE FACE OF THIS AGREEMENT. SOME STATES DO NOT ALLOW THE EXCLUSION OR LIMITATION OF CERTAIN WARRANTIES, SO THE ABOVE LIMITATIONS OR EXCLUSIONS MAY NOT APPLY TO YOU. LIMITATION OF LIABILITY AND DAMAGES. YOU AGREE THAT POLISH STONEWARE IMPORTS AND THE OTHER POLISH STONEWARE IMPORTS PARTIES WILL NOT BE HELD LIABLE FOR ANY DAMAGES OF ANY KIND ARISING FROM THE USE OF THIS SITE OR ANY POLISH STONEWARE IMPORTS E-MAILS, OR OF ANY PRODUCTS OR SERVICES PURCHASED THROUGH, OR INFORMATION AVAILABLE ON OR THROUGH, THIS SITE OR POLISH STONEWARE IMPORTS E-MAILS, INCLUDING, BUT NOT LIMITED TO DIRECT, INDIRECT, INCIDENTAL, PUNITIVE, SPECIAL OR CONSEQUENTIAL DAMAGES (INCLUDING BUT NOT LIMITED TO LOST PROFITS, LOST SAVINGS, LOSS OF USE OR LOSS OF DATA), WHETHER OR NOT ADVISED OF THE POSSIBILITY OF SUCH DAMAGE, AND REGARDLESS OF THE THEORY OF LIABILITY PURSUANT TO WHICH SUCH DAMAGES MAY BE SOUGHT, INCLUDING BREACH OF CONTRACT, BREACH OF WARRANTY, NEGLIGENCE, OR ANY OTHER CAUSE OF ACTION, TO THE EXTENT SUCH EXCLUSION AND LIMITATIONS ARE NOT PROHIBITED BY APPLICABLE LAW. THESE EXCLUSIONS OF DAMAGES ARE INDEPENDENT OF YOUR EXCLUSIVE REMEDY PROVIDED BELOW AND SURVIVE IN THE EVENT SUCH REMEDY FAILS OF ITS ESSENTIAL PURPOSE OR IS OTHERWISE DEEMED UNENFORCEABLE. IF YOU ARE DISSATISFIED WITH A POLISH STONEWARE IMPORTS WEB SITE OR WITH ANY POLISH STONEWARE IMPORTS E-MAIL, IF YOU DO NOT AGREE WITH ANY PART OF THIS AGREEMENT, OR IF YOU HAVE ANY OTHER DISPUTE OR CLAIM WITH OR AGAINST ANY POLISH STONEWARE IMPORTS PARTY WITH RESPECT TO THIS AGREEMENT, POLISH STONEWARE IMPORTS WEB SITES, OR POLISH STONEWARE IMPORTS E-MAILS, THEN YOUR SOLE AND EXCLUSIVE REMEDY IS TO DISCONTINUE USING POLISH STONEWARE IMPORTS WEB SITES AND TO REMOVE YOURSELF FROM THE MAILING LISTS FOR POLISH STONEWARE IMPORTS E-MAILS IN THE MANNER SPECIFIED ON A POLISH STONEWARE IMPORTS WEBSITE OR IN POLISH STONEWARE IMPORTS E-MAILS. POLISH STONEWARE IMPORTS AND THE OTHER POLISH STONEWARE IMPORTS PARTIES ARE NOT LIABLE FOR ANY CLAIM MADE BY A THIRD PARTY OR MADE BY YOU FOR A THIRD PARTY. YOU AGREE TO INDEMNIFY AND HOLD POLISH STONEWARE IMPORTS AND THE OTHER POLISH STONEWARE IMPORTS PARTIES HARMLESS FROM ANY SUCH CLAIM. ALL DISCLAIMERS OF WARRANTIES AND LIMITATIONS OF DAMAGES APPEARING IN THESE TERMS ARE CUMULATIVE, AND NO DISCLAIMER OR LIMITATION APPEARING IN THIS AGREEMENT IS INTENDED TO LIMIT THE SCOPE OR EFFECT OF ANY OTHER DISCLAIMER OR LIMITATION APPEARING IN THIS AGREEMENT. SOME STATES DO NOT ALLOW THE EXCLUSION OR LIMITATION OF CERTAIN LIABILITIES OR DAMAGES, SO THE ABOVE LIMITATIONS OR EXCLUSIONS MAY NOT APPLY TO YOU. 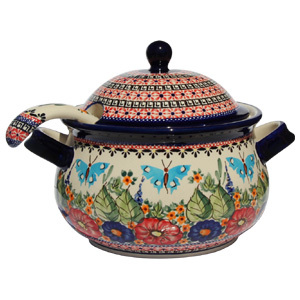 CHANGES TO POLISH STONEWARE IMPORTS WEB SITES; ADDITIONAL LIABILITY LIMITATION. POLISH STONEWARE IMPORTS MAY CHANGE ANY POLISH STONEWARE IMPORTS WEB SITE OR DELETE FEATURES IN ANY WAY, AT ANY TIME AND FOR ANY REASON. As you use Polish Stoneware Imports Web Sites or use Polish Stoneware Imports E-Mails, you should expect to receive, access or use information, materials, graphics, software, data and content (collectively, “Content”) originated by Polish Stoneware Imports and persons other than Polish Stoneware Imports (any such person is referred to as a “Third Party”). WITHOUT LIMITING THE GENERALITY OF SECTIONS 12 AND 13, YOU ACKNOWLEDGE AND AGREE THAT POLISH STONEWARE IMPORTS AND THE OTHER POLISH STONEWARE IMPORTS PARTIES ARE NOT RESPONSIBLE OR LIABLE FOR (1) ANY CONTENT, INCLUDING WITHOUT LIMITATION, ANY INFRINGING, INACCURATE, OBSCENE, INDECENT, THREATENING, OFFENSIVE, DEFAMATORY, TORTIOUS, OR ILLEGAL CONTENT, OR (2) ANY THIRD PARTY CONDUCT, TRANSMISSIONS OR DATA. IN ADDITION, WITHOUT LIMITING THE GENERALITY OF SECTIONS 12 AND 13, YOU ACKNOWLEDGE AND AGREE THAT POLISH STONEWARE IMPORTS AND THE OTHER POLISH STONEWARE IMPORTS PARTIES ARE NOT RESPONSIBLE OR LIABLE FOR (1) ANY VIRUSES OR OTHER DISABLING FEATURES THAT AFFECT YOUR ACCESS TO OR USE OF POLISH STONEWARE IMPORTS WEB SITES, (2) ANY INCOMPATIBILITY BETWEEN POLISH STONEWARE IMPORTS WEB SITES AND OTHER WEB SITES, SERVICES, SOFTWARE AND HARDWARE, (3) ANY DELAYS OR FAILURES YOU MAY EXPERIENCE IN INITIATING, CONDUCTING OR COMPLETING ANY TRANSMISSIONS OR TRANSACTIONS IN CONNECTION WITH POLISH STONEWARE IMPORTS WEB SITES IN AN ACCURATE OR TIMELY MANNER, OR (4) ANY DAMAGES OR COSTS OF ANY TYPE ARISING OUT OF OR IN ANY WAY CONNECTED WITH YOUR USE OF ANY SERVICES AVAILABLE FROM THIRD PARTIES THOUGH LINKS CONTAINED ON POLISH STONEWARE IMPORTS WEB SITES OR IN POLISH STONEWARE IMPORTS E-MAILS. THE LIMITATIONS, EXCLUSIONS AND DISCLAIMERS IN SECTIONS 12 AND 13 AND THIS SECTION 14 APPLY TO THE MAXIMUM EXTENT PERMITTED BY APPLICABLE LAW, AND ARE NOT INTENDED TO DEPRIVE YOU OF ANY MANDATORY PROTECTIONS PROVIDED TO YOU UNDER APPLICABLE LAW. SOME STATES DO NOT ALLOW THE EXCLUSION OR LIMITATION OF CERTAIN LIABILITIES OR DAMAGES, SO THE ABOVE LIMITATIONS OR EXCLUSIONS MAY NOT APPLY TO YOU. LIMITED PERIOD FOR FILING SUIT. YOU AND POLISH STONEWARE IMPORTS AGREE THAT ANY CAUSE OF ACTION ARISING OUT OF OR RELATED TO THE POLISH STONEWARE IMPORTS WEB SITES OR POLISH STONEWARE IMPORTS E-MAILS MUST COMMENCE WITHIN ONE (1) YEAR AFTER THE CAUSE OF ACTION ACCRUES. OTHERWISE, SUCH CAUSE OF ACTION IS PERMANENTLY BARRED. SEVERABILITY. The invalidity or unenforceability of any term or provision of this Agreement or the non application of any such term or provision to any party or circumstance shall not impair or affect the remainder of this Agreement, and the remaining terms and provisions hereof shall not be invalidated, but shall remain in full force and effect. NOTICE. All notices and other communications under this Agreement shall be in writing or displayed electronically on this site by Polish Stoneware Imports. Notices shall be deemed to have been properly given on the date deposited in the U.S. Mails, if mailed; on the date first made available, if displayed on this site; or on the date received, if delivered in any other manner. Notices to you may be sent to any of the addresses provided by you, including e-mail addresses. 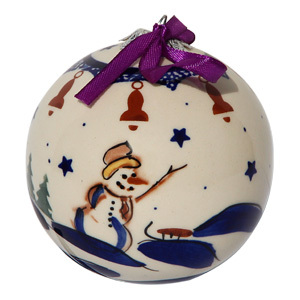 Except as expressly directed otherwise by Polish Stoneware Imports herein or elsewhere in this site, e-mail notices to Polish Stoneware Imports must be sent to info@polishpotterymarket.us. CAPTIONS; ENTIRE AGREEMENT. The captions used in this Agreement are for convenience only and shall not be used to construe or interpret any of the provisions of this Agreement. This Agreement, together with any Additional Terms, constitute the entire agreement between you and Polish Stoneware Imports with respect to the subject matter hereof and of the Additional Terms. All prior agreements, understanding, negotiations or representations, whether oral or in writing relating to such subject matter are superseded and canceled in their entirety. GOVERNING LAW. 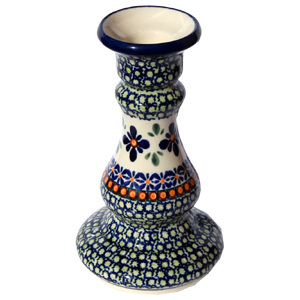 Polish Stoneware Imports Web Sites, including this site, and Polish Stoneware Imports E-Mails are created and controlled by Polish Stoneware Imports in the State of Colorado, USA. Use of this site or Polish Stoneware Imports E-Mails and any purchase of goods or services through this site or Polish Stoneware Imports E-Mails shall be governed by and construed in accordance with the laws of the State of Colorado, without giving effect to principles of conflicts or non-contractual choice of law. Those who choose to access this site from other jurisdictions, and those who elect to receive Polish Stoneware Imports E-Mails in other jurisdictions, do so on their own initiative and are responsible for compliance with local laws, if and to the extent local laws are applicable. USERS OF THIS SITE AND RECIPIENTS OF POLISH STONEWARE IMPORTS E-MAILS AGREE THAT EXCEPT FOR EQUITABLE RELIEF SOUGHT BY POLISH STONEWARE IMPORTS, WHICH MAY BE SOUGHT IN ANY COURT OF COMPETENT JURISDICTION, EXCLUSIVE JURISDICTION AND VENUE FOR ANY LEGAL OR EQUITABLE CLAIMS MADE THAT RELATE IN WHOLE OR IN PART TO ANY POLISH STONEWARE IMPORTS WEB SITE, ANY POLISH STONEWARE IMPORTS E-MAILS, THIS AGREEMENT, OR THE PURCHASE, RETURN OR USE OF ANY GOODS OR SERVICES OBTAINED THROUGH USE OF A POLISH STONEWARE IMPORTS WEB SITE OR POLISH STONEWARE IMPORTS E-MAILS, SHALL BE THE STATE AND FEDERAL COURTS LOCATED IN JEFFERSON COUNTY, COLORADO. OWNER AND OPERATOR OF POLISH STONEWARE IMPORTS WEB SITES. 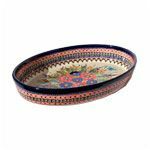 Polish Stoneware Imports, LLC., an Colorado corporation, is the owner and operator of the this Web site and all other Polish Stoneware Imports Web Sites. 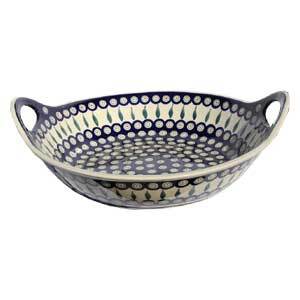 Unless otherwise specified, all contents of Polish Stoneware Imports Web Sites are © Polish Stoneware Imports, LLC. and/or its suppliers. All rights reserved. 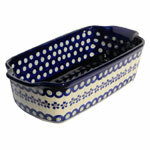 The address of this Polish Stoneware Imports Web Site is www.polishpotterymarket.us. The mailing address for Polish Stoneware Imports, LLC. is 4450 Wadsworth blvd, Wheat Ridge, CO 80033. THIS IS AN AGREEMENT. This is an agreement between you and Polish Stoneware Imports, LLC. (“Polish Stoneware Imports”). This agreement is referred to as this “Purchase Agreement”. This Purchase Agreement governs your online purchase of any goods or services from any Web site operated by Polish Stoneware Imports. In this Agreement, each Web site operated by Polish Stoneware Imports is referred to individually as a ” Polish Stoneware Imports Web Site,” and collectively as ” Polish Stoneware Imports Web Sites”, and the “Polish Stoneware Imports Parties” means Polish Stoneware Imports and its affiliates, and their respective shareholders, owners, members, directors, managers, partners, officers, employees, attorneys, agents and representatives. Any Polish Stoneware Imports Web Site may contain additional terms that further govern purchases made on that Polish Stoneware Imports Web Site, all of which are incorporated by reference in this Purchase Agreement. Those additional terms include those that appear in online notices relating to certain information, products, software, services or features being sold. Your submission of any order for the purchase of any goods or services through a Polish Stoneware Imports Web Site constitutes your acceptance of the terms of this Purchase Agreement, including any applicable additional terms. If you do not agree with any of the provisions of this Purchase Agreement or with any of the additional terms that are a part of this Purchase Agreement, do not make a purchase. If any terms of this Purchase Agreement that are not additional terms conflict with any of the additional terms, then the terms of this Purchase Agreement that are not additional terms shall control. ORDERS ARE RECEIVED FROM YOU ON OR THROUGH POLISH STONEWARE IMPORTS WEB SITES ON THE CONDITION THAT YOU ACCEPT ALL OF THE TERMS OF THIS PURCHASE AGREEMENT WITHOUT MODIFICATION. YOUR SUBMISSION OF AN ORDER CONSTITUTES YOUR ACCEPTANCE OF THIS AGREEMENT WITHOUT MODIFICATION. PRODUCT DESCRIPTIONS. Polish Stoneware Imports product descriptions are not designed or intended to replace your personal product knowledge, experience and/or research. We strive to be accurate in our product descriptions, information content, pricing, links and any other product information contained in or referenced on our site. However, occasional human error may occur and we therefore cannot and do not guarantee that all product descriptions, specifications, pricing or any other content on the site is entirely accurate, complete, or current. PRODUCT COLOR. 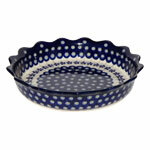 Polish Stoneware Imports Web Sites attempt to display product images as accurately as possible. However, we cannot guarantee that the color you see matches the actual product color, as the display of the color depends, in part, upon the monitor you are using. MANUFACTURERS’ WARRANTIES. The only warranties that are made with regard to products and services purchased through Polish Stoneware Imports Web Sites are those, if any, that are issued by the manufacturer or the provider of the service. If a manufacturer’s or provider’s warranty is provided to you with an item or service purchased, the terms of that warranty will govern the existence and scope of the manufacturer’s warranty to you. PRICING. All pricing is subject to change. For all prices, products and offers, Polish Stoneware Imports reserves the right to make adjustments due to changing market conditions, product discontinuation, manufacturer price changes, errors in advertisements and other extenuating circumstances. PAYMENT POLICY. Visa, Mastercard, American Express, Discover, Pay pal and Amazon Checkout are accepted, and there is no surcharge for their use. Polish Stoneware Imports will accept personal and business checks for prepay orders, but will not ship until the checks clear, which can take as many as 10 business days, or more. ERRORS. Prices and availability of products and services are subject to change without notice. Errors will be corrected where discovered, and Polish Stoneware Imports reserves the right to revoke any stated offer and to correct any errors, inaccuracies or omissions including after an order has been submitted and whether or not the order has been confirmed and your credit card charged. If your credit card has already been charged for the purchase and your order is cancelled, Polish Stoneware Imports will issue a credit to your credit card account in the amount of the charge. Individual bank policies will dictate when this amount is credited to your account. If you are not fully satisfied with your purchase, you may return it in accordance with Polish Stoneware Imports Return Policy. CHANGING ORDERS. You may request a change to your order, provided your order has not already been charged. Please call during our business hours to change your order, and have your order number ready. CANCELING ORDERS. You may request a cancellation of your order, provided your order has not already been processed and shipped. Please call during our business hours to cancel your order. If your account has already been charged, you will receive a credit back to your account within approximately 1-3 business days. VALIDATING YOUR ORDER. After you place an order using our shopping cart, we will check the information you give us for validity, verifying your method of payment or shipping address. We reserve the right to reject any order you place with us, and/or to limit quantities on any order, without any reason. If we reject your order, we will attempt to notify you using the e-mail address you have given us with the order. Your credit or debit card will normally not be charged if we reject an order, but we will process a refund if the charge has been made against your card. ORDER ACCEPTANCE / CONFIRMATION. Your receipt of an electronic or other form of order confirmation does not signify our acceptance of your order, nor does it constitute confirmation of our offer to sell. Polish Stoneware Imports reserves the right at any time after receipt of your order to accept or decline your order for any reason. SHIPPING. Shipping and handling charges on orders vary. Contact us for details. RISK OF LOSS. Risk of damage to and loss of items ordered through this Web site pass to you upon our delivery to the carrier. EXPORT. If goods are being purchased for purposes of export, the purchaser is advised to seek legal counsel or otherwise make arrangements to inquire into the need for, and to obtain, appropriate licenses and/or documentation before shipping to a foreign country. In addition, manufacturers’ warranties for exported goods may vary or even be null and void. RETURN POLICY. If you are unhappy with an item for any reason, you may return it for exchange or refund. For orders placed on the Polish Stoneware Imports website or via the phone, we will need to validate the returned products against your original order. For returns or exchanges made at our Wheat Ridge retail location, a receipt is required. If an item is defective or was shipped as a result of our error and you wish to exchange it, we will refund reasonable shipping charges you incur in returning it to us and we will pay for shipping an exchange item of similar size and weight to the original shipping address by a carrier of our choice on a non-expedited basis. If an item is defective or was shipped as a result of our error and you wish to receive a refund, we will refund the amount charged to you for the original shipping and will reimburse you for reasonable shipping charges you incur in returning the item. In all other cases, provided the exchange is similar in size and weight to the item(s) returned, we will pay for shipping the exchange by a carrier of our choice on a non-expedited basis to the original United States shipping address but we will not refund your original or return shipping costs. Polish Stoneware Imports strongly recommends you fully insure your return shipment in case it is lost or damaged and that you use a carrier that can provide you with proof of delivery for your protection.If merchandise arrives damaged: save the merchandise AND the original box and packing it arrived in, notify Polish Stoneware Imports immediately to arrange for a carrier inspection and a pick up of damaged merchandise. LIMITATION OF LIABILITY AND DAMAGES. YOU AGREE THAT POLISH STONEWARE IMPORTS WILL NOT BE HELD LIABLE FOR ANY DAMAGES OF ANY KIND ARISING FROM THE PURCHASE OR USE OF ANY PRODUCTS OR SERVICES PURCHASED THROUGH, OR INFORMATION AVAILABLE ON OR THROUGH, THIS SITE, INCLUDING, BUT NOT LIMITED TO DIRECT, INDIRECT, INCIDENTAL, PUNITIVE, SPECIAL OR CONSEQUENTIAL DAMAGES (INCLUDING BUT NOT LIMITED TO LOST PROFITS, LOST SAVINGS, LOSS OF USE OR LOSS OF DATA), WHETHER OR NOT ADVISED OF THE POSSIBILITY OF SUCH DAMAGE, AND REGARDLESS OF THE THEORY OF LIABILITY PURSUANT TO WHICH SUCH DAMAGES MAY BE SOUGHT, INCLUDING BREACH OF CONTRACT, BREACH OF WARRANTY, NEGLIGENCE, OR ANY OTHER CAUSE OF ACTION, TO THE EXTENT SUCH EXCLUSION AND LIMITATIONS ARE NOT PROHIBITED BY APPLICABLE LAW. THESE EXCLUSIONS SURVIVE IN THE EVENT SUCH REMEDY FAILS OF ITS ESSENTIAL PURPOSE OR IS OTHERWISE DEEMED UNENFORCEABLE. ALL DISCLAIMERS OF WARRANTIES AND LIMITATIONS OF DAMAGES APPEARING IN THESE TERMS ARE CUMULATIVE, AND NO DISCLAIMER OR LIMITATION APPEARING IN THIS AGREEMENT IS INTENDED TO LIMIT THE SCOPE OR EFFECT OF ANY OTHER DISCLAIMER OR LIMITATION APPEARING IN THIS AGREEMENT. SOME STATES DO NOT ALLOW THE EXCLUSION OR LIMITATION OF CERTAIN LIABILITIES OR DAMAGES, SO THE ABOVE LIMITATIONS OR EXCLUSIONS MAY NOT APPLY TO YOU. LIMITED PERIOD FOR FILING SUIT. YOU MAY NOT BRING A LAWSUIT OR ANY OTHER LEGAL ACTION ARISING OUT OF OR RELATING TO ANY POLISH STONEWARE IMPORTS WEB SITE MORE THAN ONE (1) YEAR AFTER THE CAUSE OF ACTION ACCRUES. CHANGES TO THIS AGREEMENT. Polish Stoneware Imports, and only Polish Stoneware Imports, may change (including supplementing and expanding) the terms, conditions, and notices under which it makes sales on or through Polish Stoneware Imports Web Sites. Such changes may be made without notice. You agree to regularly review these Terms and any additional terms posted on any Polish Stoneware Imports Web Site for changes and agree that any purchase made by you after the effective date of a change affecting terms applicable to the purchases constitutes your acceptance of the change. GOVERNING LAW. 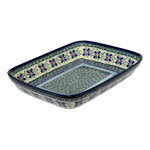 This site is created and controlled by Polish Stoneware Imports in the state of Colorado, USA. Use of this site and any purchase of goods or services through this site shall be governed by and construed in accordance with the laws of Colorado, without giving effect to principles of conflicts or non-contractual choice of law. Those who choose to access this site from other jurisdictions, and those who choose to have goods or services delivered to other jurisdictions, do so on their own initiative and are responsible for compliance with local laws, if and to the extent local laws are applicable. THE PURCHASER OF GOODS OR SERVICES THROUGH A POLISH STONEWARE IMPORTS WEB SITE, INCLUDING THIS SITE, AGREES THAT EXCEPT FOR EQUITABLE RELIEF SOUGHT BY POLISH STONEWARE IMPORTS, WHICH MAY BE SOUGHT IN ANY COURT OF COMPETENT JURISDICTION, EXCLUSIVE JURISDICTION AND VENUE FOR ANY LEGAL OR EQUITABLE CLAIMS MADE THAT RELATE IN WHOLE OR IN PART TO THE PURCHASE, RETURN OR USE OF ANY GOODS OR SERVICES OBTAINED THROUGH A POLISH STONEWARE IMPORTS SITE SHALL BE THE STATE AND FEDERAL COURTS LOCATED IN JEFFERSON COUNTY, COLORADO.